The first step in helping women thrive in any company is making sure they are set up for success. But 50% of women “Don’t feel guided or supported in how to be successful by managers” according to our survey results. 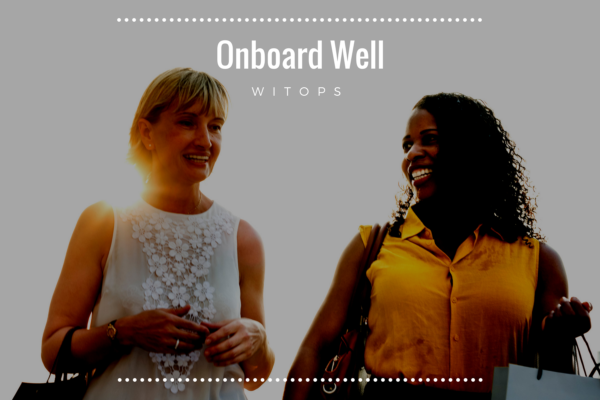 We started the Onboarding Research OP to understand what works and doesn’t in on-boarding to get women started successfully. We have conducted over 50 interviews with new hires. WITops combined forces with well known universities to gather data on recent graduates. That data together with data on all new hires collected by our collaborating industry colleagues reveals critical themes and intervention points. For example, formal on-boarding including company policy, filling out forms, benefits and even some skill training is well planned. But on-boarding into the team and daily work often is not. But daily work is where the rubber hits the road for success. Volunteer Opportunity: The Team Onboarding Checklist is ready — Join our Living Lab to try it and provide feedback. Volunteer now. Next Steps: We are spreading the work in talks and workshops. Invite us to share our knowledge with your oganization. Once we collect feedback on the checklist we will create materials to guide organizations. We are also developing a simple evaluation of how well new hires are doing with your team onboarding approach.